This is challenging. Require both crochet and knitting technique. 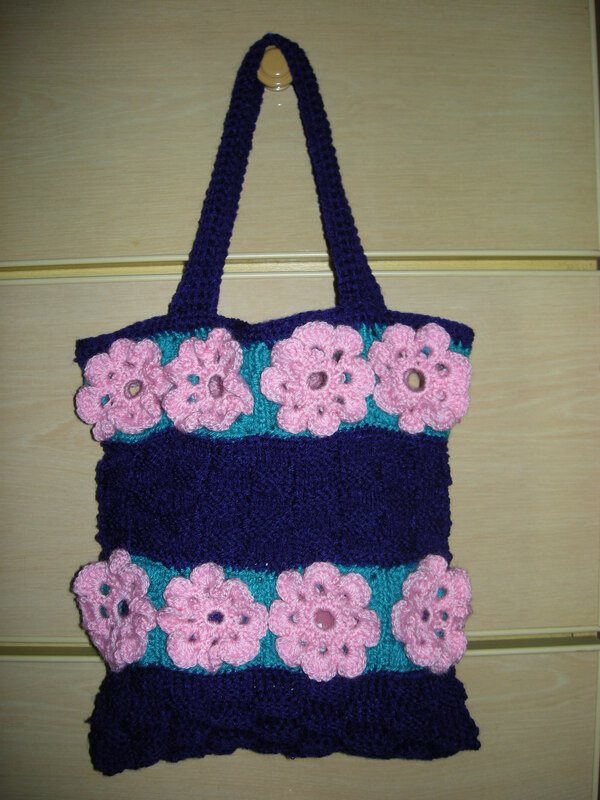 The flowery part is a mortif that make up from pink yarn follow by aqua yarn for the base. Then sew the four motifs together to form a row. The purple part is made up of knit and peal knitting technique.